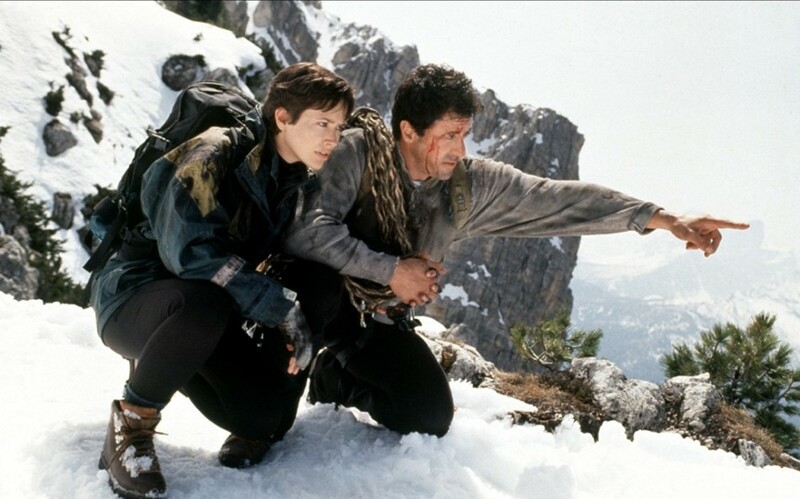 Not Rocky, Rambo or Cobra; but Cliffhanger is another solid Stallone action classic! 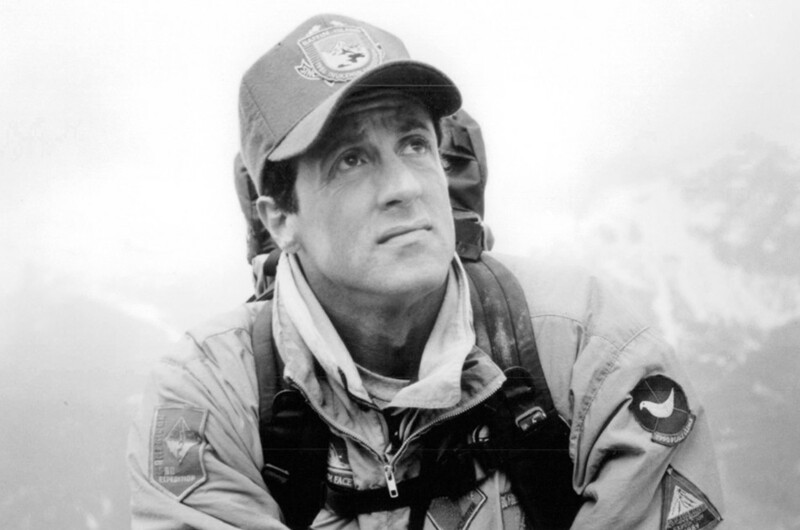 Gabe Walker (Sylvester Stallone) works as a ranger in the Rocky Mountains. Informed fellow ranger Hal Tucker (Michael Rooker) and his girlfriend Sarah (Michelle Joyner) are stranded on a mountaintop after Hal sustains a knee injury, Hal and his helicopter pilot girlfriend Jessie (Janine Turner) rush out for an aerial rescue. However, during the attempted rescue, Sarah’s harness proves defective and despite Gabe’s best efforts, she plummets to her death. Eight months pass. Wracked with guilt, Gabe intends to leave his ranger position behind forever, intent on having Jessie come with him. His plans are interrupted when the rangers receive a distress call, where victims of a plane crash remain stranded in the snow, close to perishing. Though Hal is still bitter about Gabe’s fatal blundering, the two men decide to share one last mission. However, the call turns out to be a ruse from a group of ruthless criminals headed by ex-military intelligence officer Eric Qualen (John Lithgow) whose plane crashed when they botched a mid-air transfer of money stolen from the US Treasury. Three suitcases packed with millions of dollars each disappeared onto the mountains below. Despite their high-tech gadgetry, the criminals need expert help in recovering it from the harsh terrain. Gabe and Hal answer the call, only to be taken hostage and forced to aid Qualen’s gang. However, when Qualen decides having one guide will be less trouble then two, Gabe escapes the criminals’ attempt on his life. Hal is left captive, while Gabe joins the recently airlifted-in Jessie on their quest to find the other suitcases before the criminals do and rescue their friend before he ends up with a bullet to the brain. Cliffhanger has often been lumped together with all the Die Hard knockoffs released in the wake of that perennial 1980s favorite, but as far as Die Hard knockoffs go, this is one of the best. Combining breathtaking action, a great sense of setting, and brutal suspense, Cliffhanger is still an enjoyable ride for devotees of 1990s action. The film is often praised for its sense of realism in the mountain setting and stunts (even if many have pointed out the technicalities of rock-climbing as shown in the movie are often inaccurate). I admit many scenes make my palms sweat just thinking about them. Director Renny Harlin keeps the vertigo strong throughout, emphasizing the sheer scale of the mountains. 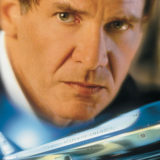 In a movie full of intense stunt work, the mid-air money exchange at the beginning of the movie is the most praised by fans and critics. Reportedly the most expensive aerial stunt in movie history, it is so impressive that one can say it was certainly worth the money! Though set in the Rocky Mountains, the film’s climbing scenes were often shot on the Tofane cliffs in Dolomites, Italy. They are gorgeous to behold. However, not every scene was shot on-location. There are some clever uses of front projection and miniatures, which have aged well for the most part. Alas, some scenes were shot on very obvious sets, but overall, the film does a great job in making you believe in the situation and setting, keeping the pacing and suspense at a high pitch throughout. Stallone’s Gabe Walker is an appealing everyman hero and one of the actor’s best roles of the 1990s. He isn’t a superman, but a normal dude who triumphs through cleverness and knowledge of the mountains just as much as with a good punch. Gabe is opposed by the harshness of the natural world and the ill-will of a truly nasty crew of thieves, and though he isn’t invulnerable, he more than proves worthy of the challenge. John Lithgow steals the show! While Christopher Walken was originally approached to play the lead villain, the honors went to Lithgow in the end. 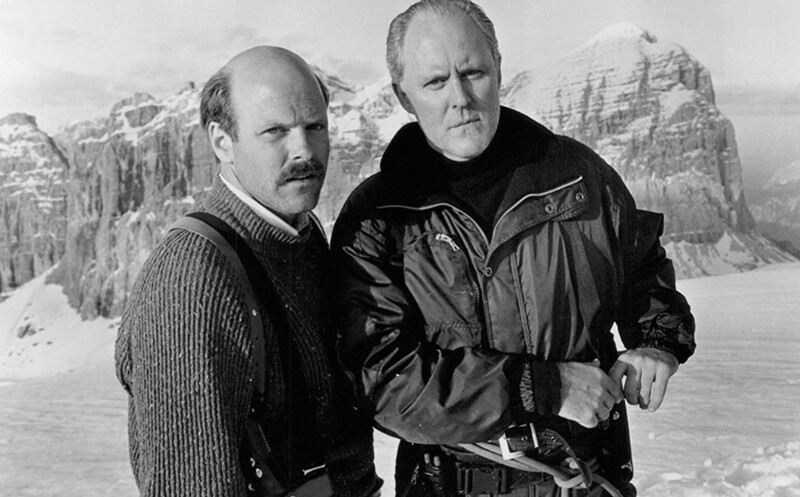 I’ve seen some accuse Lithgow’s villain of being too hammy, but let’s be real: this is not a somber drama, it’s a fun action movie, and Lithgow’s histrionic performance is a delight. 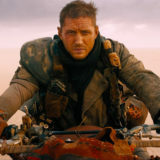 He’s ably supported by Rex Linn, Caroline Goodall, Leon Robinson, Craig Fairbrass, Gregory Scott Cummins, and Denis Forrest as his menacing batch of cronies. 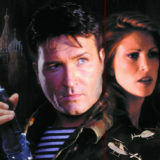 Cliffhanger remains a solid, memorable action thriller. It doesn’t necessarily break new ground as its critics often point out, but not every movie needs to in order to be memorable or effective. 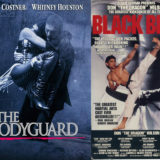 A worthy addition to your action movie collection and one I would love to get the chance to see on a big, big screen, just to enhance the thrills. Hang on! 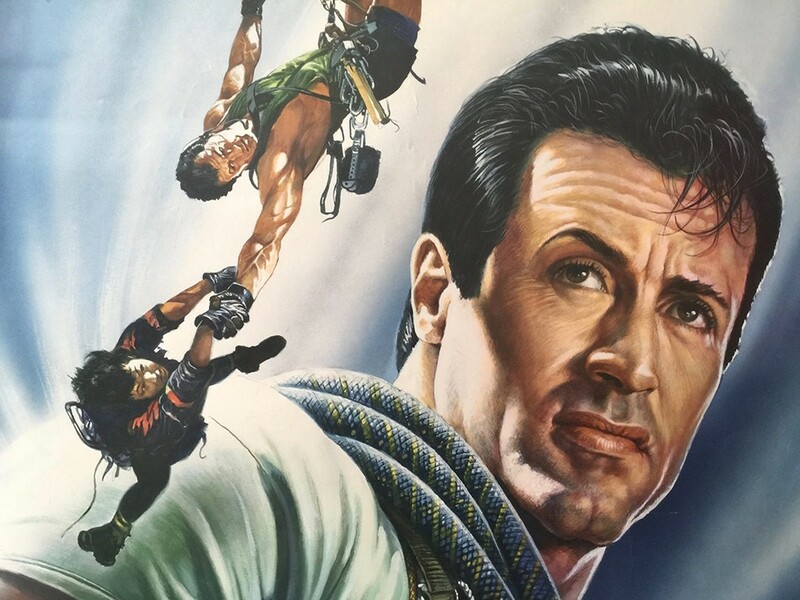 What are your thoughts on Stallone’s Cliffhanger? Let us know in the comments or on our Facebook page! Next story Kickboxer: Retaliation — The Ultimate Action Movie Reboot Sequel of All Time?